One of the things that happens to architects as they grow older is that the buildings they design are sold to new owners. Bruce and Alison Dudon have lived in this house since it was designed for them and built in 1991, and it is now time to move on. I include it here because it is a good example of what I mean by Fiction Architecture. Even the premise of a lighthouse which is on a hill far away from any water is demonstrably fictional and immediately liberates the mind of a visitor from mundane concerns. When I first visited the steeply-sloping site there was a cleared area of flat ground remaining from a previous house which had burned down in the 1983 bushfires. It was cold and there was frost on the ground even though it was lunchtime. The trees were filled with sunshine and I thought the house should ‘reach up’ and, perhaps using mirrors like a periscope, reflect light down into the rooms. I can’t remember exactly when this idea of a tower morphed into a lighthouse, but once the image became stuck in my mind I knew that it would not be easy to dismiss it! I had a sinking feeling that other members of my profession would not be impressed, but after a while I started to enjoy this thought. I was also unsure how Bruce and Alison would respond. Ideas which arrive like this come from the intuitive regions of the brain, and it is only afterwards that it becomes apparent how they address all kinds of realities. Alison had said that she was torn between living at their new block, or living by the ocean. 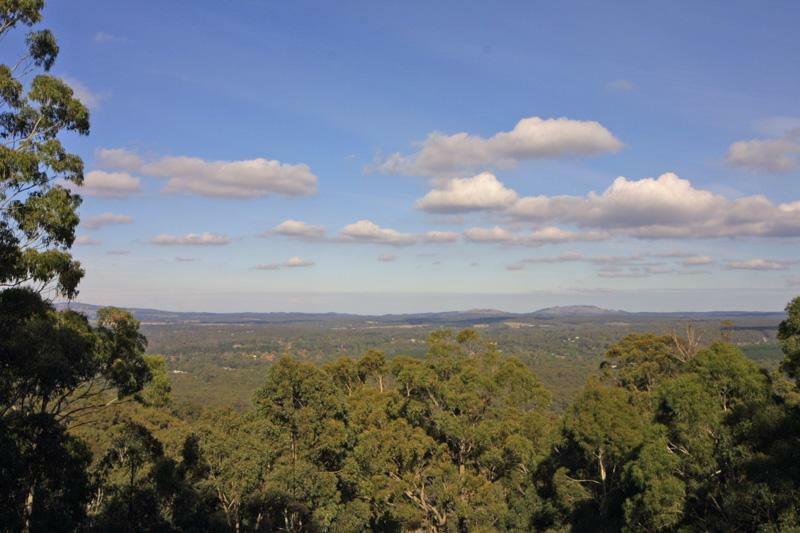 Mount Macedon rises up out of a plain in a similar way to an island rising from the sea, and the house is seen from a distance like a lighthouse is seen from the water. Visibility is an attribute of a site like this one. As we are nowhere near the sea, the presence of a lighthouse is about other things than keeping boats safe. Lighthouses are a masculine form, with light shining out from the top, through lenses. Bruce was at that time the proprietor of a shop selling spectacles. 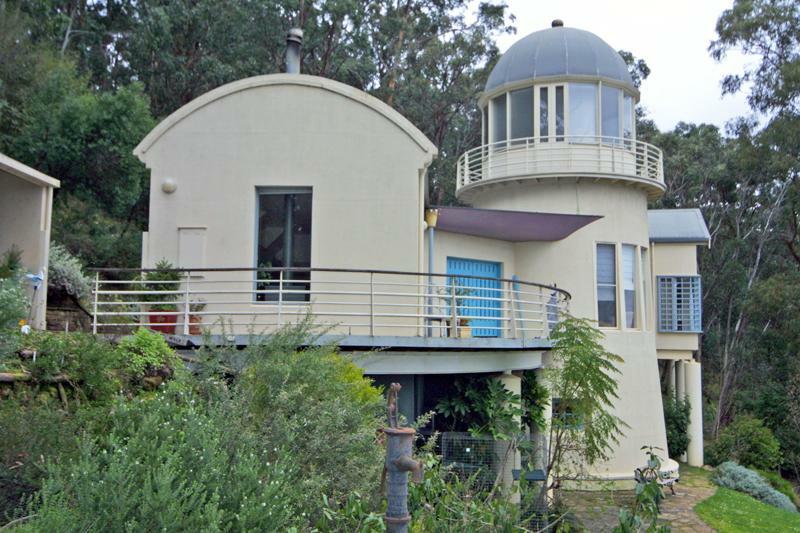 Unlike a real lighthouse, this house has a room at the top for the purpose of looking out at the view rather than housing a light to be seen from a distance. Lenses such as spectacles and binoculars may be used to look at the view more effectively. Light is a metaphor for knowledge, and this fact is particularly potent in a beacon warning ships of danger. In this lighthouse-in-reverse the rays of the sun enter the top of the tower, which serves as a Study, and reflect down the stairway. 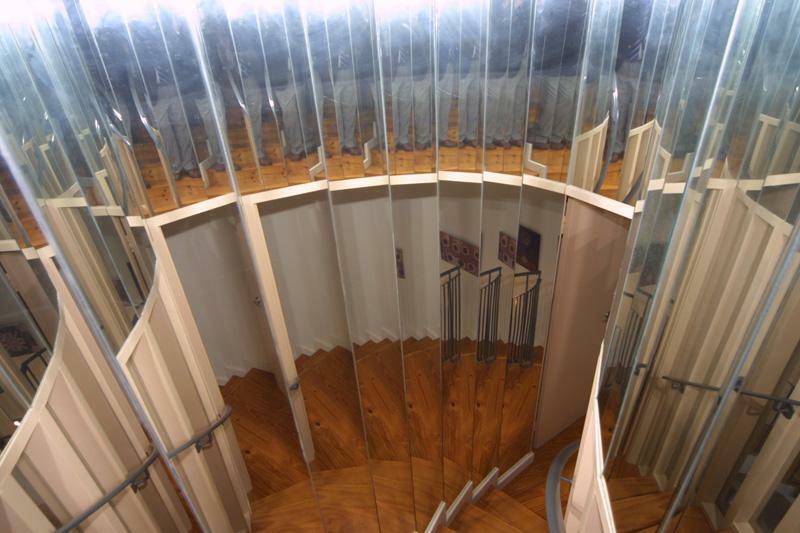 Each side of the stair is lined with mirrors. Plato links knowledge with light in his Analogy of the Cave, in which he compared normal existence to living in a cave with a fire illuminating shadow puppets which cast shadows on the wall. To become enlightened, a person must leave this unreal world and go up into the sunlight of truth and see the world as it actually is. For Plato, enlightenment was a male concern. In this house the Sitting room, located below the Study, and having a fireplace, may be understood as the cave. 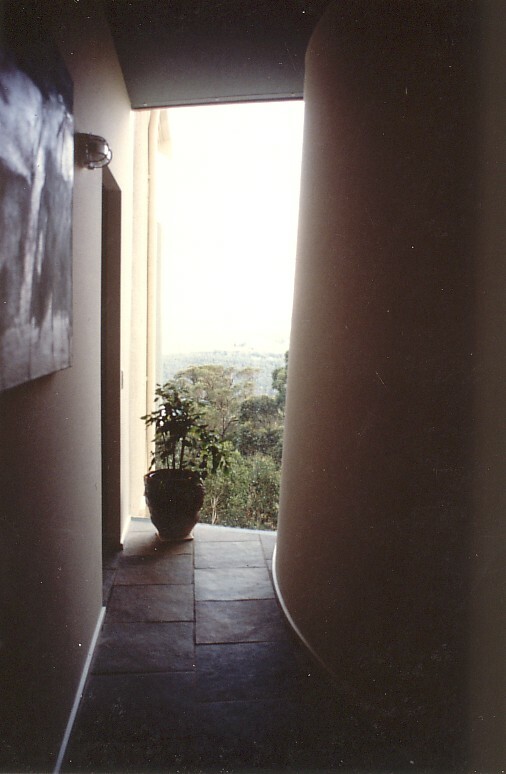 The journey up the stairs to the panoramic view above may be experienced as an architectural setting of the philosophical goal of enlightenment. As I researched lighthouses, I noticed that the tower is usually accompanied by cottages. The design of the house includes three ‘cottages’ adjacent to the tower. In pre-industrial times the cottage was a place of manufacture. Women made objects which they owned and sold on their own terms, so a cottage can be seen as a symbol of female power. Alison is a primary school teacher and therefore constructs and disseminates knowledge. The relationship between male and female power is a major theme in our times, and the design embodies this in a symbolic form. As artist Narelle Jubelin has pointed out, nineteenth century lighthouses are emblems of patriarchy in the landscape. This house reflects something different: the challenge of feminist thought to the previously unquestioned dominance of male power. 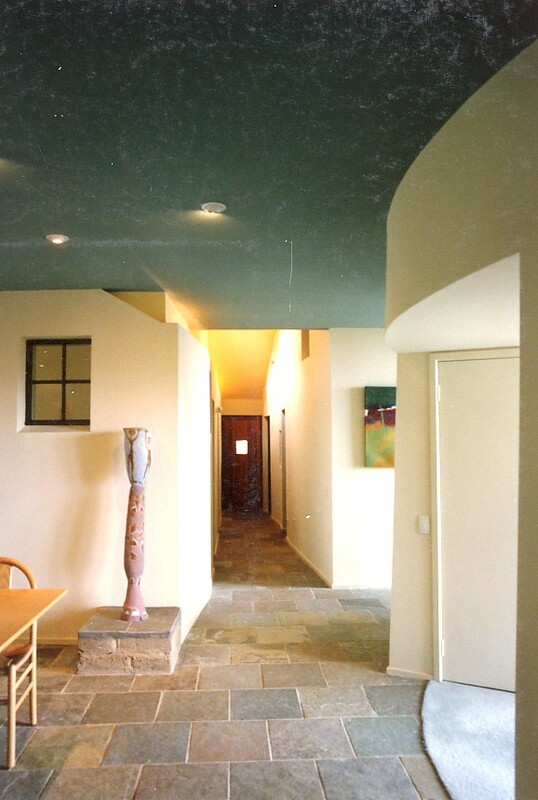 Inside the house the space between the cottages and the tower, which serves as a passage, is configured like a walkway between buildings. The passage widens out to a space like a village green; this is the Dining room. This space represents the possibility of a female public realm such as used to exist around the village pump, where opinions were expressed and decisions made. An antique pump located in a niche in the west wall of this space acknowledges this understanding . 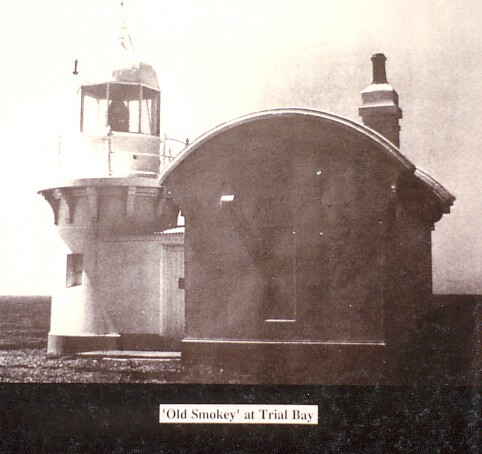 The visual imagery for this house was derived from a photograph of ‘Old Smokey’, a lighthouse built at Trial Bay in the late nineteenth century to a standard design. As it was a very small lighthouse and accompanying one-room building, it was necessary to enlarge the proportions quite a bit. This surprised me, as I expected to be scaling down from lighthouse to house. 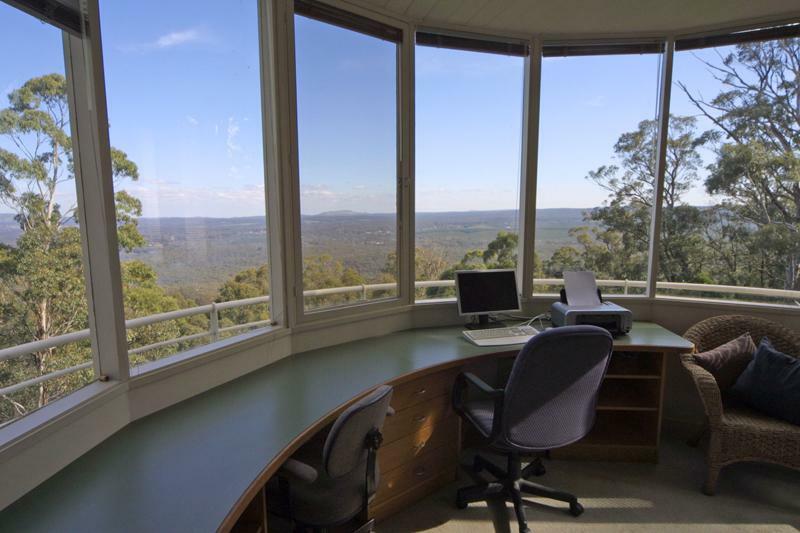 The house is designed to provide the owners with many ways to experience the spectacular views. 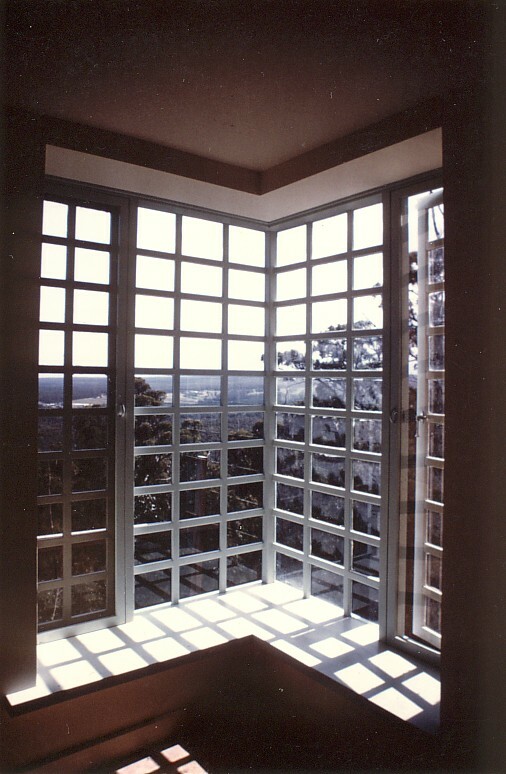 As well as the panoramic view at the top, there are large windows divided into dozens of small panes, and small windows oriented in particular directions. These windows ‘convert’ the cottages into parts of a notional lunatic asylum, and refer to the role of these institutions in suppressing challenges from women to the existing paradigms of authority by classifying them as insane and under the power of the dark force of the moon. There is a frameless sheet of glass between the tower and the Main bedroom which appears to be a nothing more than a gap between buildings, so that the view itself is emphasised, rather than the frame through which it is seen. Other kinds of views are available (along with slight vertigo) from the walkway around the top of the tower, and from the wharf-like deck leading to the front door. The design of the house very carefully follows typical details of rendered stone or brick architecture from the mid-nineteenth century, although the construction method is pine stud framing incorporating insulation and clad with cement sheet and a textured finish. The pylons supporting the south side of the house imitate cast iron pipe construction, but are actually thin steel posts within compressed cement sheet pipe sections, studded with dome head bolts to imitate rivets. As in all fiction, deception is rife. The chimney of the fireplace is carefully disguised as the vent at the top of the lighthouse. The stair to the basement room is concealed within the coat cupboard at the entry into the sitting room. Acknowledgement: While designing this house I was assisted in our studio by Dr.Mirjana Lozanovska who contributed many insights into the relationship between the evolution of feminist theory and the metaphor linking light with knowledge. There are many examples of buildings which pretend to be other things: large toilet bowls, elephants, pineapples, and so on. These forms are often described as being part of a ‘narrative’. The purpose of these literal representations is to advertise or draw attention to a commercial enterprise, or to refer to and signify a building’s function, or to acknowledge a valued aspect of the building’s context. While they seem fictional when compared to normal architecture I think that their narratives are non-fiction because of this functional or contextual aspect. To explain further, they are like ads on TV: even though they are highly creative there is no freedom to explore the narrative for its own sake. During the Post-modern period, the work of Robert Venturi, Charles Moore and Charles Jencks, among others, broadened the terms of reference for architecture to allow the inclusion of such non-fiction narrative themes (preferably as surface decoration rather than three-dimensional representation). There are some sophisticated and serious contemporary examples of non-fiction narratives, such as Daniel Libeskind’s use of the pentangle in the design of the Jewish museum in Berlin, and the shards of an ‘exploded globe’ at his Imperial War Museum North, in Manchester. In Fiction Architecture, as I am proposing it, the architect adopts the same strategies, such as literal representation, and shifts in scale, but the narrative themes are independent of the purpose, function or physical context of the building and can therefore be described as fictional rather than non-fictional. As in novel writing, it is the development of the author’s ideas which becomes primary. How do we summon up the courage to cross this line from non-fiction to fiction expression? What is the nature of this line? It is not a question of crossing from truth to untruth, as fiction expresses truth as well as (and, some would argue, better than) non-fiction. It is crossing from the premise of honesty to the premise of pretence. To do this we need to let go of the idea that we must always be ‘architecturally honest’. And we must also let go of the idea that, since mock-Georgian architecture is merely shallow pretence, therefore all pretence must be shallow. I hold the view that it is better if we are not always honest in architecture, and that not all pretence in architecture is shallow. Therefore it is possible to cross the line and pursue Fiction Architecture. For some reason we are not as careful to make this fiction/non-fiction distinction in art and sculpture as we are in literature. I think this is because the non-fiction works of art and sculpture are now vastly outnumbered by the fiction works, so that, when we experience any work in one of these media, we assume we are dealing with a fictional narrative. Only occasionally do we come across a portrait or landscape or wildlife image which is intended to be a literal record of what the artist saw. Only rarely in sculpture do we see a life-like representation of a particular person, intended as a record of physical and psychological attributes. By contrast, in literature (and in the documentary format in film and television) we often come across scientific studies, cookery books, travel guides, text books, manuals, and so on, hence the constant concern that exists for distinction between fiction and non-fiction works within these media. Interestingly, some architects envy painting and sculpture for its formal freedom, but have never analysed that these forms are generated by fictional narratives. Without the confidence to pursue fictional narratives, the architect remains restricted to what can be explained in terms of purpose, function and physical context. In music, there is little concern as to whether the narrative (either as song, song with accompaniment, or melodic narrative) is fictional or not. J.S.Bach’s ‘St.Matthew Passion’ is an example of a non-fiction narrative because believers consider Christ’s life to be fact not fiction. Steve Reich, in ‘Different Trains’, evokes the tragedy of Nazi concentration camps, and therefore the work contains a non-fiction narrative. Brett Dean’s opera ‘Bliss’ is based on Peter Carey’s novel of the same name, and therefore the work contains a fictional narrative. These distinctions between non-fiction and fiction narratives in music are seldom made, as they matter little to the modern audience, but they are of interest and importance in trying to define how we have become stuck in the non-fiction narrative mode in architecture established during the period of post-modern theoretical development. Now hold on to your hat while we consider a further complexity. Within non-fiction narratives such as documentary films, re-enactments may be inserted. While these require a fictive approach to space, decor, clothing and detail of speech and gesture, these re-enactments are intended to be understood by the audience as protraying true situations and stories. The same procedure takes place in some examples of non-fiction narrative in architecture, such the ‘reconstructed’ bomb craters in ARM’s Melbourne Shrine Visitor Centre. Similarly, in architecture which has a non-fiction narrative due to the building’s use as an advertisement (such as the New York NewYork hotel and casino in Las Vegas), we find re-enactments (reconstructions) of buildings and monuments which are clearly fabrications but are expected by the observer to be reasonably accurate replicas of the real thing. In summary, then, narratives in architecture can be divided into two categories: non-fiction and fiction. Nearly all existing architecture contains non-fiction narratives, and if a narrative is consciously expressed in a building, it is explained in terms of the purpose, function or physical context of the building. A work of Fiction Architecture is predicated on a narrative invented by the architect primarily for the contemplation and pleasure of the user. The Once Upon a Place conference will explore a range of themes under the banner of ‘Haunted Houses and Imaginary Cities’. Keynote speakers include Pedro Gadanho (see http://shrapnelcontemporary.wordpress.com) and Peter Fournier who worked with Peter Cook on the Kunsthaus in Graz. ‘This notice is provided for general information. This blog is not affiliated or connected with the conference. The basic idea of this blog is that a fictional mode of expression should exist within architecture which is equivalent to the novel in literature. So, how did the novel begin? The earliest ones were imitations of real accounts of adventures (eg Robinson Crusoe by Daniel Defoe) and were originally published without the author’s name on them, but purported to be written by the ‘hero’. While most people would have been well aware of their fictional status, it is not unlikely that some readers would have thought they were real accounts! Very soon the novel blossomed into a much fuller expression with complex plots, intimate descriptions of the thoughts and feelings of the characters, and the phenomenon of the ordinary person as hero. It is hard to imagine life without novels but, before the eighteenth century, they didn’t exist. It is this perspective that has led me to the position of proposing that a similar situation exists in the world of architecture at the beginning of the twenty-first century, and that there is a huge amount of pent-up energy amongst architects to explore a fictive mode of expression. Like a novel, a work of fiction architecture is only possible if the architect adopts pretence as the starting point for the narrative aspects of the design. And like a novel, the building is ‘read’ as a pretence by the knowing viewer, and enjoyed as such. A good example of Popular Fiction Architecture is Joanne and Shaun’s Gothic house shown on the UK television program Grand Designs in 2009. In the emerging sub-genre of Gothic Fiction Architecture, it embodies the desire of the owners for a sense of romance and history in what is, actually, a new building. Unlike the serious proposal to return to a Gothic expression which manifested itself in the work of Pugin and others in the early nineteenth century, which I would describe as non-fiction, this Gothic expression is clearly chosen by the owners for their pleasure and enjoyment, and is openly acknowledged as fiction. There is no imperative that everyone should build in Gothic, or that the Gothic somehow embodies truth. This house is a pretence: it pursues a Gothic style. There is creativity shown in its composition by Joanne and architectural designer Gerald Sedgewick, however it remains within strict conventions, in the same way that much popular fiction writing does. There is a lack of open-ended exploration of the kind that I am advocating; it does not rise to the level of ‘new fiction architecture’. Consistently the interior shown here adheres to the conventions of Gothic; there is no hybridisation or layering of other ideas. But like much good popular fiction, it is full of pleasure due to both its explorations and its restrictions. (Photos: Grand Designs website). 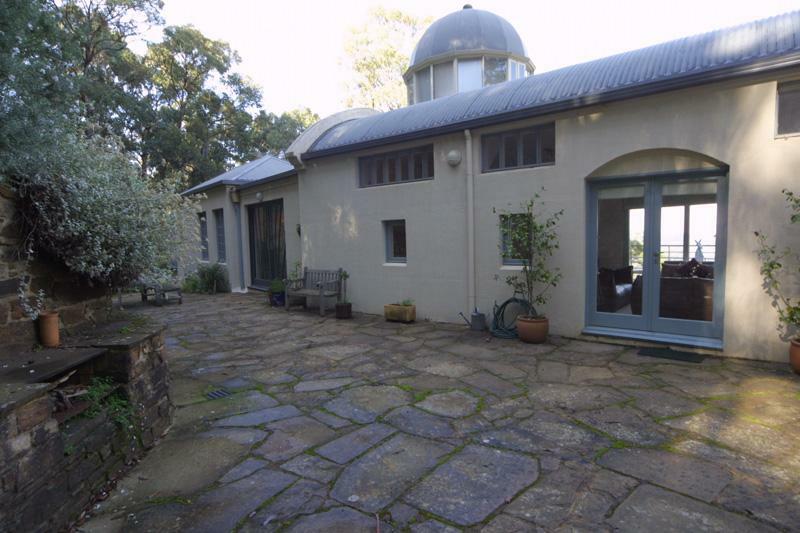 This blog was started in February 2009 by Simon Thornton, a Melbourne architect and partner in Simon and Freda Thornton Architects. The purpose is to nurture a new type of built architecture known as Fiction Architecture, and any interested person is welcome to submit comments, queries and suggestions. ‘Fiction architecture’ in the sense that I am proposing may be defined as the expression of ideas through the medium of building, using strategies such as imitation, pretence, trickery and playful deception. This differs from the main body of architecture, ‘non-fiction architecture’, which may be defined as the expression of ideas through the medium of building, using a direct, clear, honest and didactic approach. Fiction architecture is not to be confused with architecture fiction writing (also called architectural fiction writing), where a novel or other piece of fiction writing is organised around a plot or theme relating to architecture, or is an exploration of architectural themes. See works by Barry Maitland and Bruce Sterling. Also, it should not be confused with imaginary or unbuilt architecture, or architectural drawings of a speculative kind. Further, it should not be confused with non-fiction architecture which has been inspired by comic book depictions of future worlds, such as the influence of Dan Dare comics on British High Tech architecture (if indeed such influence actually exists). Nor should it be confused with ‘futuristic’ architecture deriving from earlier predictive work, such as the drawings of Archigram. And again, for those who read architectural theory, it is not to be confused with Peter Eisenman’s idea that Modernism itself was a fiction. In my view Modernist architecture was generally didactic (instructive), and was therefore a non-fiction expression. Like Marxist theory, Modernist theory may look naive and wrong in parts, but that does not turn it retrospectively into fiction. Documentary films may contain errors in fact or wrong beliefs, but that does not alter them from non-fiction to fiction. Further genres include ‘science fiction architecture’, ‘historical fiction architecture’ and ‘fantasy fiction architecture’.